1. Ross Martin is best remembered, of course, for playing Secret Service agent Artemus Gordon in the Western TV series The Wild Wild West (1965-69). During the show's fourth season, he broke his leg on the set while filming the episode "The Night of the Avaricious Actuary." While he recovered, Charles Aidman and William Schallert portrayed partners to Robert Conrad's James T. West. 2. Later during the show's fourth and final season, Ross Martin suffered a heart attack. Despite his limited appearances that season, he was nominated for an Emmy for Outstanding Continued Performance by an Actor in a Leading Role in a Dramatic Series. Martin as Artemus in disguise. 3. 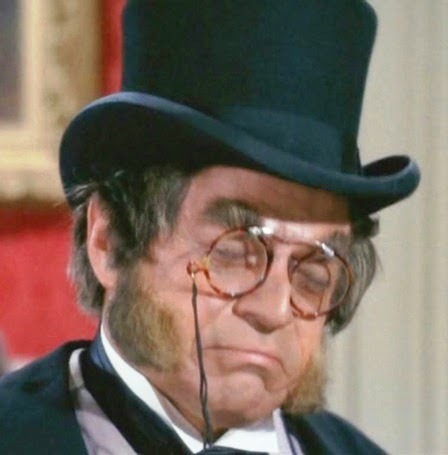 Since Artemus Gordon was a master of disguises, Ross Martin donned make-up to portray dozens of different "characters" in the series. In the book, A Sci-Fi Swarm and Horror Horde: Interviews with 62 Filmmakers, make-up artist Kenneth Chase recalls that Martin frequently spent two hours in the make-up chair for one disguise (and hated waiting for his scenes to be filmed). Martin in Experiment in Terror. 4. 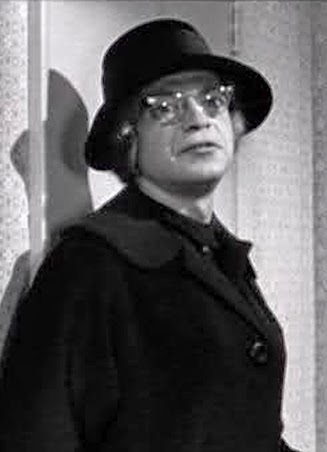 The Wild, Wild West wasn't the first time that Ross Martin played a character who employed disguises. He portrayed a killer who impersonates a woman in Blake Edwards' Experiment in Terror (1962). 5. 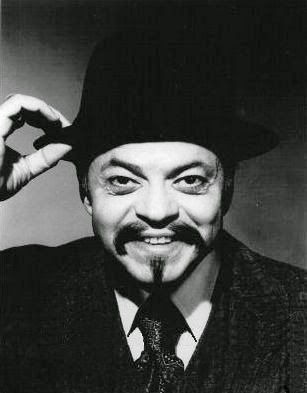 In Edwards' TV series Mr. Lucky (1959-60), he starred as Andamo, the charismatic "business associate" to the title gambler played by John Vivyan. 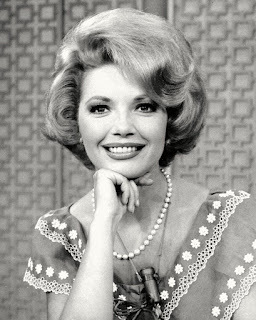 Indeed, Ross was a Blake Edwards' favorite; he also appeared in The Great Race as Baron Rolfe Von Stuppe. One of Martin's fellow actors in that film was Peter Falk; they later played adversaries in "Suitable for Framing," the best episode in the the first season of Columbo. 6. Interestingly, Martin starred as the title character in the made-for-TV movie The Return of Charlie Chan (aka Happiness Is a Warm Clue). The pilot for a TV series, it was an ill-fated project from the start. Made in 1973, it was shelved due to complaints about a Caucasian actor playing Earl Derr Biggers' detective. (For the record, Charlie Chan was a Hawaiian detective and was played most famously by Swedish actor Warner Oland). Martin's Chan movie was eventually broadcast in 1978. 7. Ross Martin suffered a fatal heart attack after a game of tennis in 1981. He was 61. He and Robert Conrad had recently starred in two Wild Wild West "reunion movies": The Wild Wild West Revisited (1979) and More Wild Wild West (1980). According to some sources, there was discussion about reviving the TV series, but that ended with Martin's untimely death. Martin said he could've really submerged himself into his disguises but the producer wanted the audience to know it was him. The two movies were pilots, but played more for farce, using the Incredible Hulk, and Paul Williams as Dr. Loveless' son. Nice post! 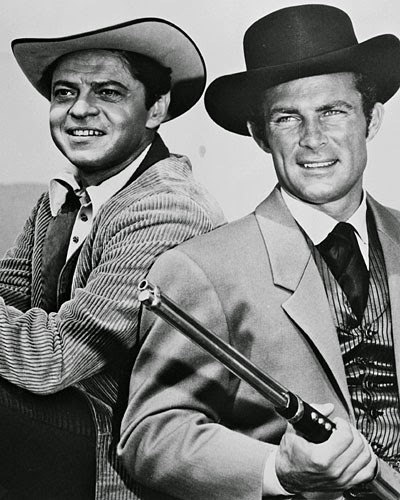 Love Ross Martin, he and Robert Conrad made a perfect team in THE WILD WILD WEST. Fine post! Always liked Ross Martin, who is excellent in one of my favorite neonoirs, Experiment n Terror. I'm always happy/sad when I watch Ross Martin. Happy because he is so much fun to watch and sad because we didn't get more work. He deserved an Oscar nomination for best supporting actor for his truly scary performance as the psycho in "Experiment in Terror." I was considered the crazy one among my sisters .. I loved Ross Martin much better than Robert Conrad. I liked his face, his way of speaking -- I had no idea he had so many health problems during Wild Wild West, or that he had died too young. One of the best TV actors in my opinion. Speaking of replacements, I love the episode with Alan Hale Jr. in a one-time appearance. At the end of the episode he tells West he's going on a vacation to a deserted island, and then the Gilligan's Island theme subtly kicks in. While I like all four seasons, I think my favorite season is the second, loaded with wild, crazy and surreal episodes. Also a Ross Martin fan, and I'll say a word for him in "Mr. Lucky." A very uneven show, which tends to go down in quality as it goes on (especially when the gambling boat is converted to a nightclub), but Martin as Andamo is a delight, particularly in the early episodes when he's less of a caricature. He guested in an episode of "Peter Gunn," and I've read that Edwards spun that character into Andamo, although I can't remember if the two characters had the same name. Ross Martin was my favorite part of "Wild, Wild West," too. He seemed very comfortable donning disguises and making interesting characters. Thanks for another fun and informative post, Rick! So nice to hear from so many other Ross Martin fans. He made Artie one of the great television sidekicks! 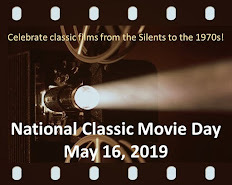 I was fortunate enough to have spent some time with Ross Martin, interviewing him for a TV GUIDE article in connection with the Charlie Chan movie pilot. When the show was postponed, the article was deep-filed. I believe some of it was used for a short notice when the show finally aired. He seemed like a terrific guy, though admitted he'd lost his patience with people who kept asking him about his health.